All guests must be of at least 18 years of age to be able to check-in at the Hostel. We are not family hostels and recommend you reserve Hotels if travelling with family. We send you an email with detailed directions to the hostel and how to avoid the common scams within a few hours of receiving your booking. Please read this email carefully. Look at your spam folder in case you do not receive the email within 12 hours. No drugs and alcohol allowed on any hostel premises. Any guests who purposely/accidentally cause damage to the property, eats/ consumes alcohol in the room, smokes inside the room/property will be subject to penalties as suggested by the property manager. Any guest breaking the house rules, consuming illicit substances, and conducting a wrong behavioural approach, can be asked to leave the property immediately. These rights are retained by the property manager, who may, upon scrutiny, cancel your booking without being liable to raise any refunds. Moustache does not take any responsibility for your goods. We are not liable in case you lose your goods/valuables during your stay. Keep a good eye on your stuff and have a great stay with us. Non Residents/Visitors are strictly not allowed on the hostel premises. We need a valid passport and visa for foreign nationals and a valid Government Photo ID and Address proof like Driving license, Aadhar card for Indian nationals during check-in. Student IDs are not eligible. Guests with local IDs will not be permitted to stay at the hostel. For e.g., residents of Udaipur will not be allowed to stay at Moustache Udaipur. 24-hour check-in permitted but the earliest checkin times are different for different locations so please do confirm from our website. If you are arriving very early, it is recommended you book the previous night. You are welcome to wait in our common room if you would like, but for 3-4 am arrivals, we recommend booking an extra night. The prices are exclusive of Goods and Service Tax applied by Government of India and will be charged extra above the room rates as per the rates defined by the Government. Breakfast is not included in the room rates. It will be charged for separately. We are a travellers' hostel and do not encourage group stays and long stays. Group bookings that are not authenticated in advance by the Management, individual bookings made by different members of the same group, irrespective of source of booking (made for the purpose of misleading the management) can be cancelled at any point in time, without any prior notification/warning. Any group breaking the house rules, consuming illicit substances, and conducting a wrong behavioural approach, can be asked to leave the property immediately. These rights are retained by the property manager, who may, upon scrutiny, cancel your booking without being liable to raise any refunds. To cancel your reservation, Intimation has to be sent by email to the property email id 48 Hours prior to check in date and check in time for free cancellation. Otherwise the total booking amount will be forfeited. For Group Bookings of 4 or more than 4 guests, intimation by email for cancellation has to be sent to the property email id at least 7 days prior to check in date and time for free cancellation. In case of any Offers and Promotions the payment will be NON REFUNDABLE at any point. Please check at the front desk between 9AM – 9PM to extend your beds. It is solely on availability and on the current prices. Payment has to be made in advance to confirm your extension. We are much better over email than phones. So email us with your questions before calling us. 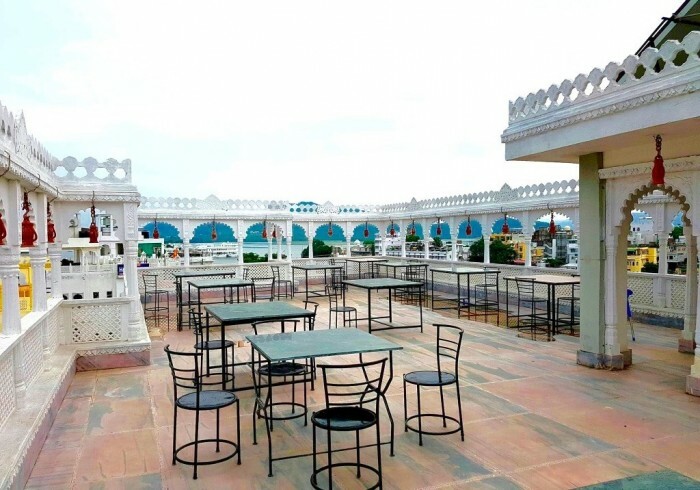 Moustache Hostel in Udaipur provides quality accommodation at attractive prices with mesmerizing views of the world famous Pichola Lake in the backdrop.